Rather than having businesses rush in and slap together profiles, Google+ is taking a leadership role to make sure it’s done right. Christian Oestlien, the Ads Lead for the Google+ Project, clarified the situation with a post and a brief YouTube message about the future plans for business profiles. Basically, Google+ knows their current environment is a lame place for businesses, and it’s nothing to do with the fact that Google+ is underpopulated. It has to do with separating individuals from businesses, and creating an optimal space for both. Right now, Google+ isn’t supporting brands, organizations or non-human entities. That means my lovely and perfect pet rabbit, Max, can’t make a profile for himself, nor can big-name brands. And if you do make a profile that isn’t solely for personal use, it’ll be deleted by the meticulous Google+ Policy Team. Even Mashable isn’t immune—their profile disappeared today, much to the dismay of disgruntled Mashable users. 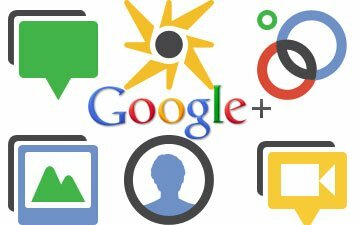 When Google+ unveils its business-friendly side later this year, they will offer an optimized environment where businesses will be able to enhance their online identities with rich analytics and useful products like Ads. Some are annoyed by the wait (not to mention the threat of deletion and the club-like lineup to get in), but a lucky few will get to play Google+ guinea pig. If you represent a “non-user entity,” you can apply to receive one of the first business profile invites. They are already overwhelmed with requests so fat chance you’ll get in, but you can try. Even if you aren’t one of the super special businesses to get an early stab at Google+, waiting isn’t necessarily a bad thing. Google+ could have allowed businesses to join now and migrate their profiles later rather than dangle the threat of deletion over their heads, but I see their point. If you’re going to do it, do it right. Once the hype settles down, you’ll have a better chance of engaging consumers who aren’t just fooling around on Google+ until they lose interest and trot back to Facebook. They’ll be in it for the long run, and you’ll have had time to get to know the system and understand how your audience uses it. If you start off with the full potential of Google+ at your disposal, you’ll get off the strongest start possible.